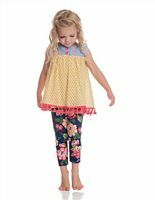 This is a really cute set for your Size 5 little girl from Country Road. 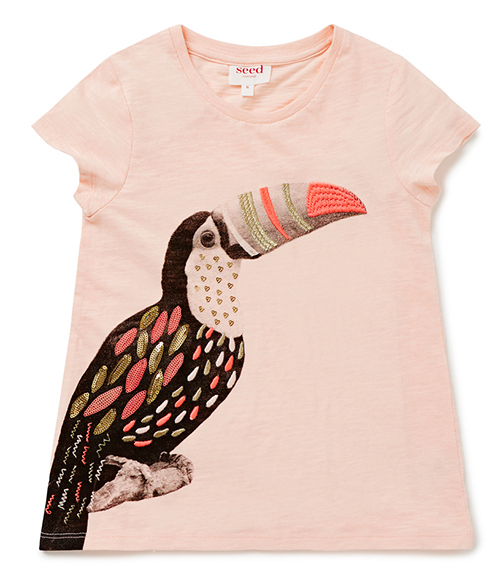 The top is in a pale pink cotton jersey with a pretty, raw-edged applique Crane chest motif. It measures about about 68cm around the chest under the arms unstretched and 40cm long from shoulder to hem and is in excellent used condition. 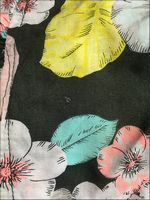 The matching skirt is in a pink 100% Viscose with a pretty floral and crane print and an elasticised waistband. This is about 30cm long waistband to hem and is in very good used condition overall with just a few small spots and a few small fabric pulls here and there. Tonnes of life left in this set yet. This beautiful dress from Country Road is in a light and floaty voile cotton - navy, with a pretty floral print. The combination of fabric with the long sleeves makes it ideal for in-between seasons. It features a comfy shirred/elasticised waistband and a hook-eye closure on the bodice. Size 5, it's about 70cm around the chest under the arms and 61cm long shoulder to hem and is in flawless condition - could pass for new without tags. 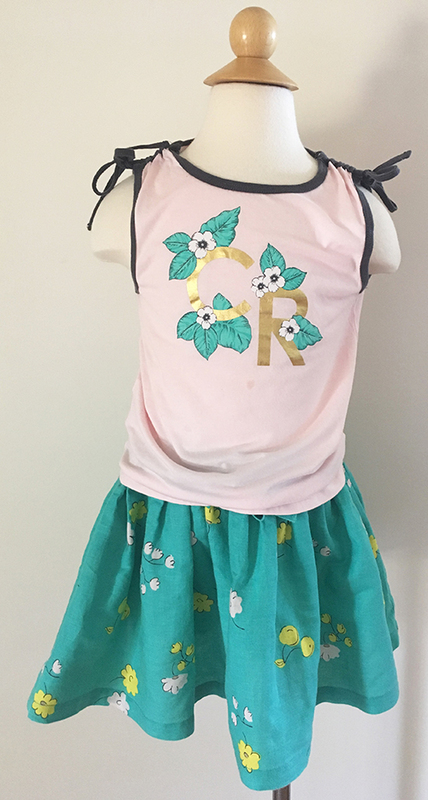 This sweet little two piece set from Country Road includes a pale pink sleeveless cotton top with a metallic gold and floral logo chest print and a green floral 60% linen 40% cotton skirt with an elasticised waistband and functional drawstring ties. Both are a Size 5, with the top measuring about 62cm around the chest under the arms and 42cm long shoulder to hem, and the skirt about 29cm long. Both pieces are in great used condition with the only flaw being a small shadowy mark on the top just underneath the centre logo which might shift with a spot treatment. 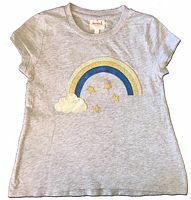 This is a great value set of tops from Seed Heritage for your Size 5 little girl to use as playwear or at creche. 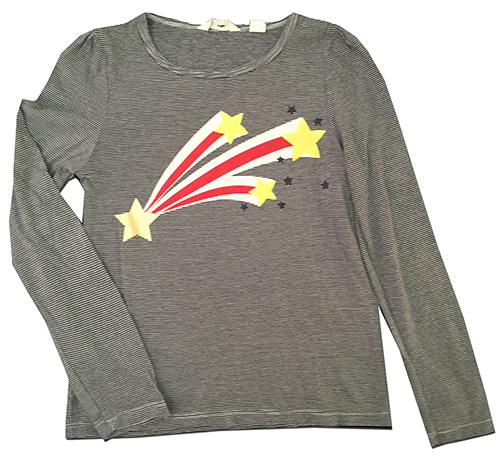 The first is long sleeved, in a grey marle cotton with a metallic gold accented photo real bunny print. It measures about 68cm around the chest under the arms and 42cm long shoulder to hem, and is in great used condition with the only flaw being a small rust mark near the rear right hemline. 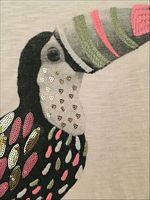 The second is also long sleeved, in an ivory cotton with a glittery metallic cupcake print with pom-pom cherries, and measures about 64cm around the chest under the arms and 42cm long shoulder to hem. 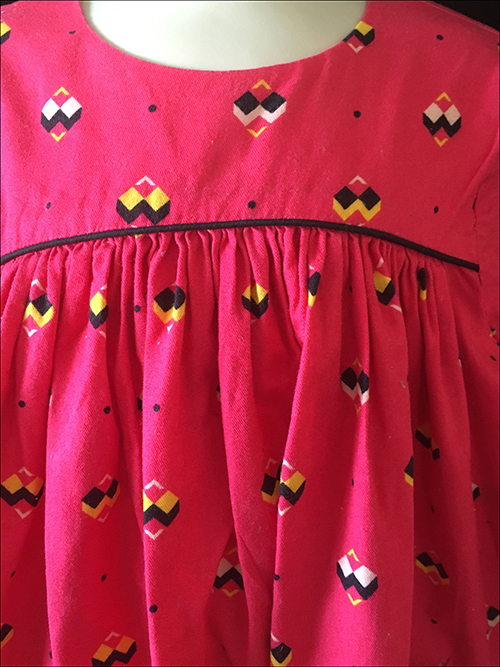 This has wear to the pom-poms, some pilling to the sleeves and some stains front and back which haven't soaked out, but tonnes of life left yet. 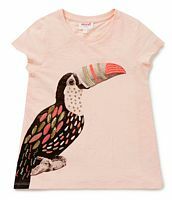 The last is short sleeved and in white cotton with a metallic gold cupcake print and measures about 62cm around the chest under the arms and 41.5cm long shoulder to hem. This is in excellent used condition but does have staining to the front right where the motif is which hasn't washed out. 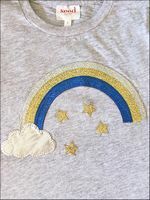 I love this set as it gives me a bit of a Wizard of Oz feel between the rainbow on the tee and the blue gingham! Both Size 5 from Seed Heritage, the t-shirt is in a grey marle cotton with a gorgeous glittery chest applique and measures about 62cm around the chest under the arms unstretched and 42cm log shoulder to hem. It's in excellent used condition with just a little stretch to the hemline. 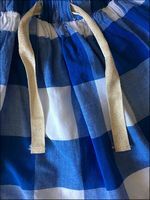 The skirt is in a fully lined blue and white gingham with an elasticised waistband and metallic gold decorative ties. It's about 24cm long waistband to hem and in excellent used condition with just two small spots to one of the rear white squares. 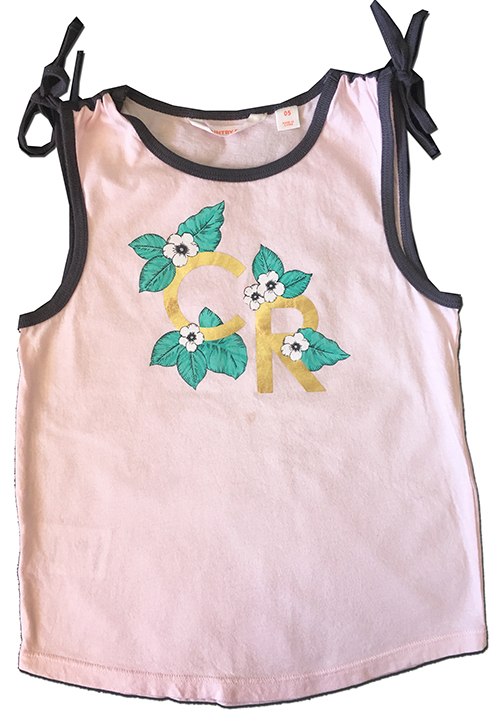 This sweet little windcheater from Country Road Child is in a white 100% Cotton with a pretty floral chest print and the CR logo in metallic Rose Gold. 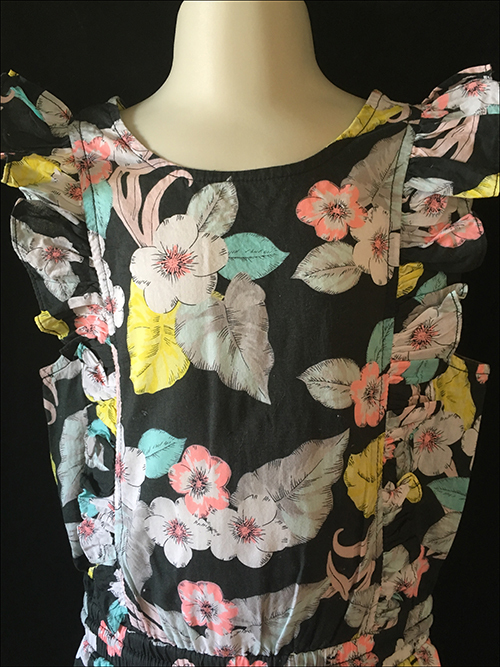 Size 5, this measures, unstretched, about 70cm around the chest under the arms and 44cm from shoulder to hem, and is in great, gently used condition with no cracking to the print. 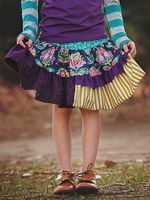 This is the stunning Paige skirt from Persnickety's Meadow Lark collection. 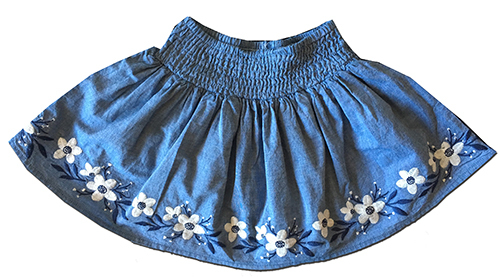 It's sewn in panels of 100% Cotton with a soft jersey ruffle trim and has a comfy elasticised waistband and a tonne of fabric to give an epic twirl factor. Size 5, it measures about 27cm long waistband to hem and is in excellent used condition with just some fluff having accumulated along the velvet trim. 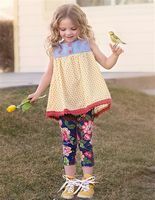 This gorgeous set is comprised of the Lou Lou Peplum top and Emily skirt from Persnickety's Meadow Lark collection. The top is in a gorgeous blend of burgundy and pink stretch 47% Cotton, 47% Modal, 6% Spandex blend jersey, with a gorgeous cream yoke and lace accent. Tagged Size 5, it measures about 60cm around the chest under the arms unstretched and 43cm long from shoulder to hem. The skirt is in a crisp 100% cotton with an elasticised waistband and that exquisite cotton lace trim, and is also a Size 5, measuring about 37cm long waistband to hem at the longest point. Both pieces are in excellent, gently used condition, and retail price on the set was $US148 (almost $AUD200) so grab a bargain! This is the beautiful Lou Lou Peplum top from Persnickety's Pretty in Pink collection. It's in a pale dusky pink stretch 47% Cotton, 47% Modal, 6% Spandex blend jersey, with a gorgeous floral yoke and polkadot ruffle accent. Tagged Size 5, it measures about 60cm around the chest under the arms unstretched and 43cm long from shoulder to hem, and could almost pass for new without tags. Retail price on this was $US64 (about $AUD85) so grab a bargain! 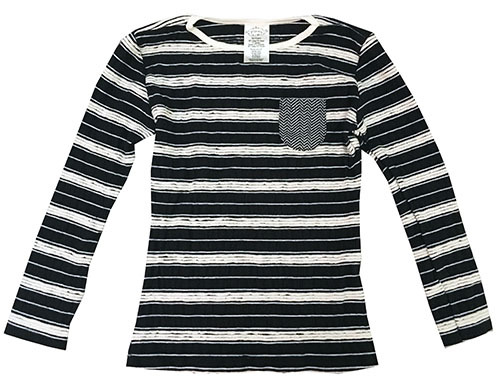 This beautiful top is from Persnickety's Penny Lane collection, in a soft and cosy 90% Cotton, 9% Rayon and 1% Spandex blend in black and white stripes with a Chevron print chest pocket. Size 5, it measures about 66cm around the chest under the arms and 46cm long shoulder to hem, and is brand new with tags attached. 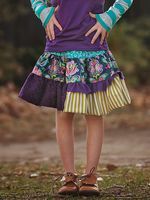 This gorgeous set is comprised of the Lou Lou top and Mimi skirt from Persnickety's Plum Crazy collection. The top is in a beautiful purple stretch 47% Cotton, 47% Modal, 6% Spandex blend jersey with contrast sleeve and a ruffle yoke, and is a Size 5, measuring about 60cm around the chest under the arms unstretched and 42cm long from shoulder to hem. The skirt is sewn in triple tiers with an elasticised waistband and a tonne of fabric to give an epic twirl factor, and is a Size 5, measuring about 28.5cm long waistband to hem. Both pieces are in near-flawless, barely used condition. 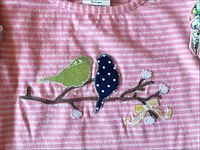 This is the adorable Double Ruffle Bird Tee from Persnickety's Bo Peep collection, in a pink striped 46% Cotton, 46% Modal, 8% Spandex blend jersey, with those amazing ruffled shoulders and the sweetest applique bird print to the bodice. Size 5, it's about 60cm around the chest under the arms and 40cm long shoulder to hem, and in excellent, gently used condition. This gorgeous set is comprised of the Lou Lou top and Nadia skirt from Persnickety's Salty Kisses and Sandy Toes collection. The top is in a salmon pink is from a yellow striped stretch 46% Cotton, 46% Modal, 8% Spandex blend jersey, with a gorgeous watercolour floral yoke (the same fabric as the skirt) and ruffle accent. Tagged Size 5, it measures about 60cm around the chest under the arms unstretched and 44.5cm long from shoulder to hem. The skirt is in a soft and floaty 100% Rayon with an elasticised waistband and a tonne of fabric to give an epic twirl factor, and is also a Size 5, measuring about 29.5cm long waistband to hem. Both pieces are in excellent, gently used condition. 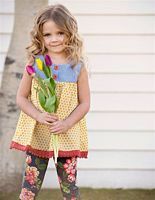 This gorgeous set is comprised of the Avery top and Lisel leggings from Persnickety's Wildflowers collection. The top features a Polycotton Seersucker bodice with cute watermelon coloured buttons and a floaty polkadot Cotton base, and is tagged Size 5, measuring about 64cm around the chest under the arms and 46cm long from shoulder to hem. 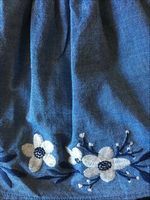 The leggings are in a royal blue floral 95% Polyester 5% Spandex blend and are also a Size 5, measuring about 50cm long waistband to hem and 34cm on the leg inseam. Both pieces are in excellent, gently used condition but the leggings do have some pilling throughout - so hard to avoid with this fabric after a few washes. 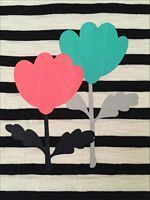 Do see my other listings for more pieces from this collection while they last. 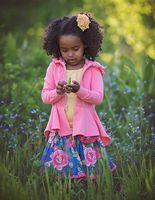 This gorgeous set is comprised of the Laylah tank top from Persnickety's Wildflowers collection as well as their Wonderstruck blue stripe Breeze shorts. 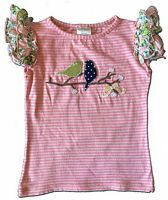 The top is in a striking blue floral and bird print stretch 95% Polyester 5% Spandex blend with a sweet striped seersucker Peter Pan collar. 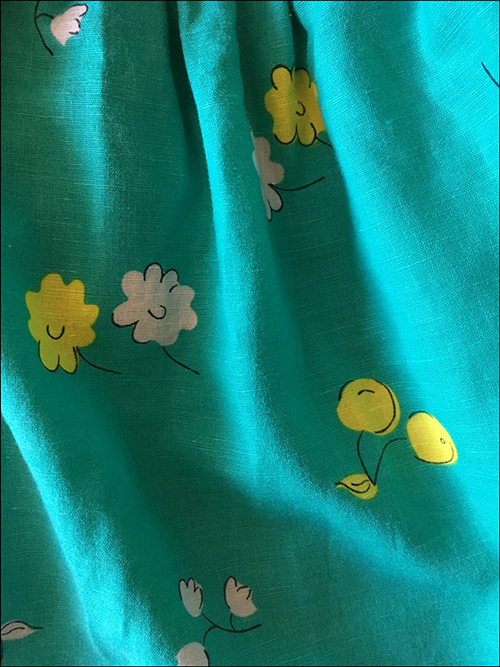 Size 5, it measures about 62cm around the chest under the arms unstretched and 47cm long from shoulder to hem, and is in good sturdy condition however does have some pilling throughout - so hard to avoid with this fabric after a few washes. The shorts are so lovely and flowing that as you can see they almost resemble a skirt. 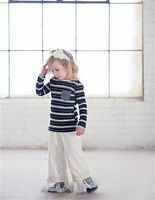 They're in a blue and white striped 52% Linen 48% Cotton blend, fully lined in Rayon and with a comfy elasticised waistband, and are also a Size 5, measuring about 22cm long waistband to hem and 7cm on the leg inseam. These are in excellent used condition and will go with so much. 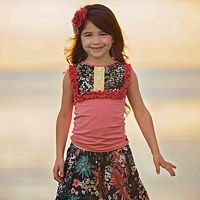 This gorgeous set is comprised of the Norah tank and Dolly skirt from Persnickety's Wildflowers collection. The top is in an ivory Pima Cotton Modal blend jersey with the most exquisite neckline in the same fabrics as the skirt. Tagged Size 5, it measures about 64cm around the chest under the arms unstretched and 44cm long from shoulder to hem. 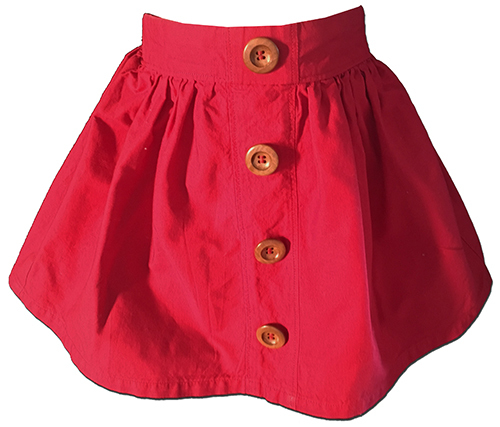 The skirt is in a light and floaty 100% cotton, fully lined with Rayon and featuring a comfy elasticised waistband and a tonne of fabric for an excellent twirl factor. Also a Size 5, it measures about 31cm long waistband to hem. Both pieces are in excellent, gently used condition, and retail price on the set was $US148 (almost $AUD200) so grab a bargain! This gorgeous set is comprised of the Hannah top and Shirley skirt from Persnickety's Bo Peep collection. The top is in a grass green - so lovely and bright, my photos haven't come close to capturing it! - stretch 46% Cotton, 46% Modal, 8% Spandex blend jersey, sleeveless with the prettiest double ruffle neckline. Tagged Size 6 but runs a tad small and so best matched with the Size 5 skirt, it measures about 62cm around the chest under the arms unstretched and 46cm long from shoulder to hem. This is in near-flawless, barely used condition. 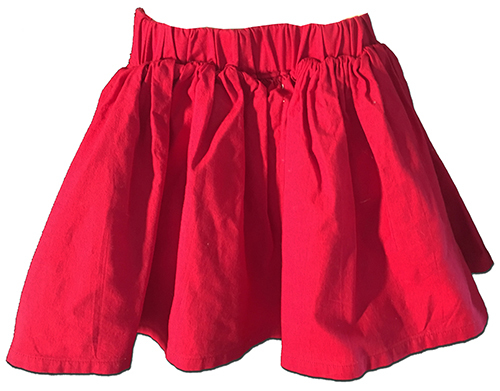 The skirt is sewn in panels of both 100% Cotton and a soft and floaty 100% Rayon, with an elasticised waistband and a tonne of fabric to give an epic twirl factor, and is a Size 5, measuring about 27cm long waistband to hem. This is in excellent used condition. 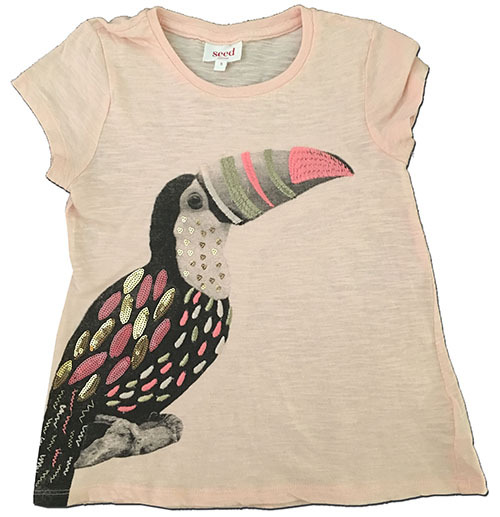 This adorable t-shirt from Seed Heritage is in a pink slub cotton - a prettier shade than my camera has captured, hence me including the stock photo...they called the colour "Fuzzy Peach" - with the most intricately embroidered and sequined Toucan chest print. Size 5, it's about 64cm around the chest under the arms and 43cm long from shoulder to hem and in excellent, gently used condition. This lovely jumper from Seed Heritage is in a grey marle fine-knit 100% Cotton with the most fabulous chest motif of a Puffin. Size 5, it's about 76cm around the chest under the arms and 44cm long from shoulder to hem and in excellent, gently used condition with just the tiniest amount of pilling developing under the arms. I also keep thinking I can see the faintest of marks where the right sleeve joins the shoulder but can't decide if it's just the marle playing tricks on my eyes! Too faint to photograph in any case and as you can see this still presents beautifully. 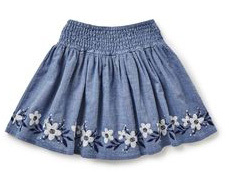 This lovely skirt from Seed Heritage will go with so much, in a fully lined classic blue Chambray (100% Cotton) with a wide, shirred, elasticised waistband and beautiful floral embroidery along the hemline - they described it as "folk style". Size 5, it's about 26cm long from waistband to hem and in excellent, gently used condition. 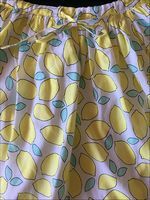 This beautiful skirt from Country Road Child is in a fully lined light and floaty 100% Cotton in white with a vibrant lemon print throughout. It features and an elasticised waistband and functional drawstring ties, and is a Size 5, measuring about 28cm long from waistband to hem. This is in excellent, gently used condition. 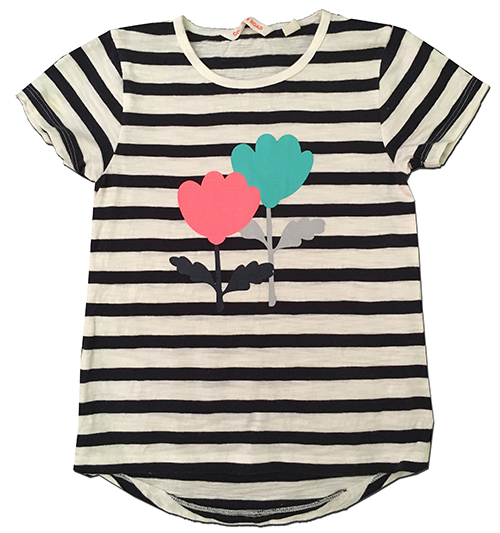 This pretty t-shirt from Country Road is in a Navy striped slub cotton with a fun fluoro coloured Tulip chest print. 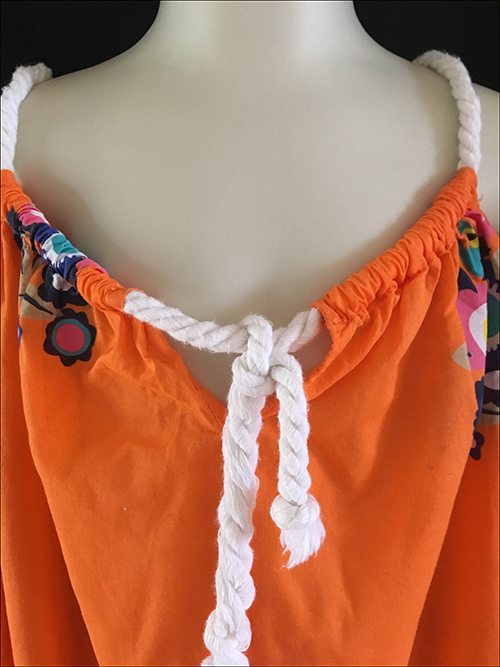 Size 5, it's about 60cm around the chest under the arms unstretched and 47cm long from shoulder to rear hem - slightly shorter at the front, and is in excellent, barely used condition. 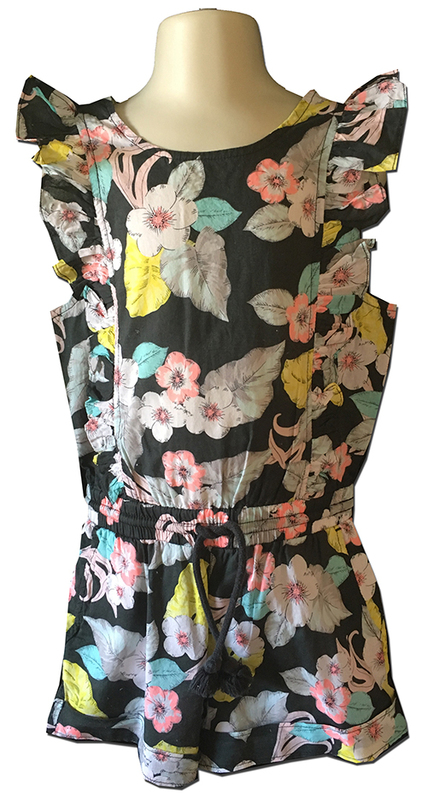 This sweet little playsuit from Country Road Child is in a charcoal floral light and floaty Cotton Voile, and features rear buttons, flutter sleeves, and a comfy elasticised waistband with functional drawstring ties. Size 5, it measures about 68cm around the chest under the arms, 55cm long from shoulder to hem and 5cm on the leg inseam. This is in excellent, barely used condition overall with just one tiny print flaw on the bodice as shown which blends well with the busy print. 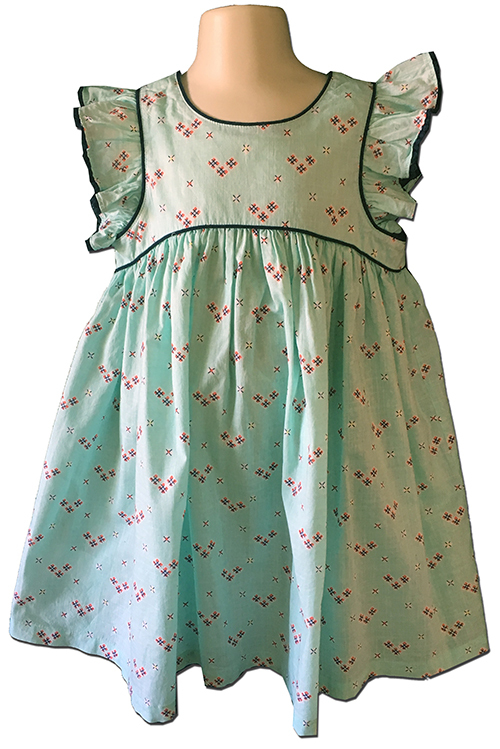 This gorgeous dress from Country Road Child is in a Mint 100% Cotton, fully lined on the bodice and featuring a full party skirt, navy piping, a single button at the nape of the neck and pretty flutter sleeves. Size 5, it's about 64cm around the chest under the arms and 59cm long shoulder to hem, and is in excellent, barely used condition. 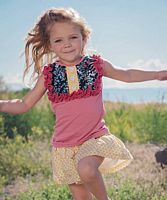 This beautiful dress from Country Road Child is in a mustard yellow pincord (100% Cotton) with a ruffle bodice that buttons at the side and an elasticised rear waistband and wrists. 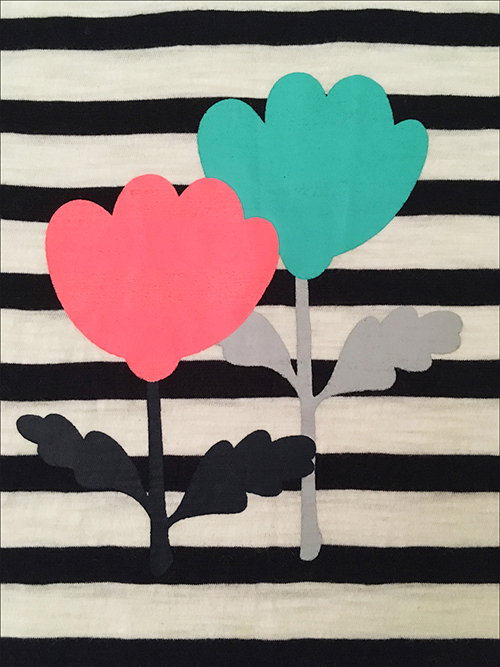 Size 5, measuring about 72cm around the chest under the arms and 62cm long from shoulder to hem. 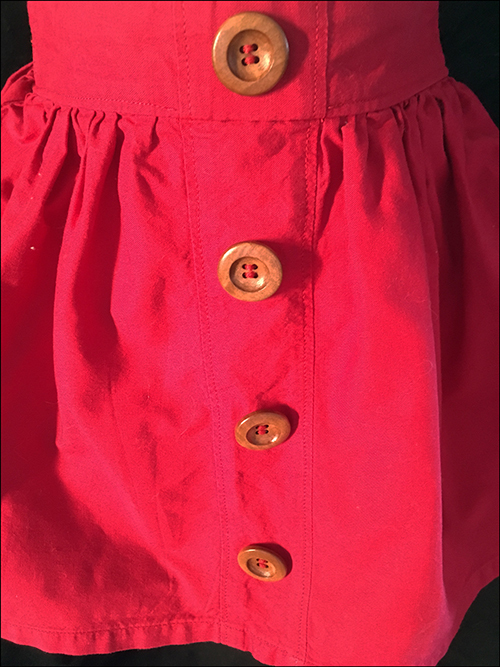 This is in excellent used condition - one of the snap buttons on the bodice has been replaced but is still fully functional. 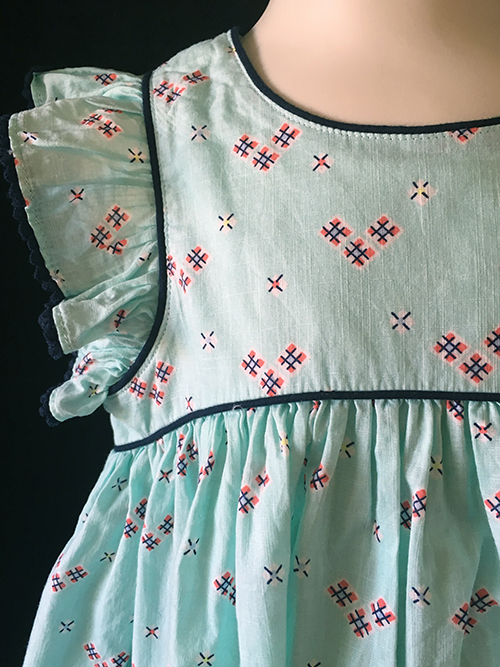 This elegant dress from Country Road Child is in a navy floral light and floaty Cotton Voile - perfect for in between seasons. It features long sleeves, rear snap buttons and functional drawstring ties at each hip, and is a Size 5, measuring about 66cm around the chest under the arms and 64cm long from shoulder to hem. This is in flawless, barely used condition. 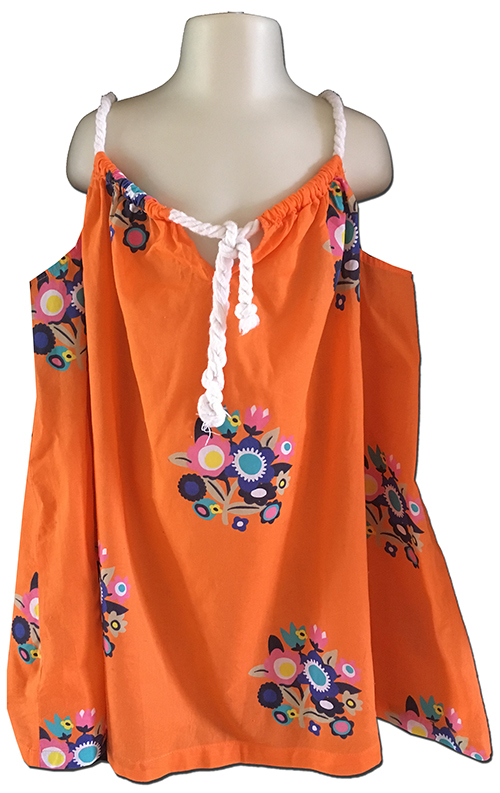 This Summery dress from Country Road Child is in a vibrant orange floral print 100% Cotton, with yarn/rope style shoulder straps that tie on the bodice and a full, flowing skirt. Size 5, it's about 96cm around the chest under the arms and 60cm long shoulder to hem, and is in excellent, barely used condition. 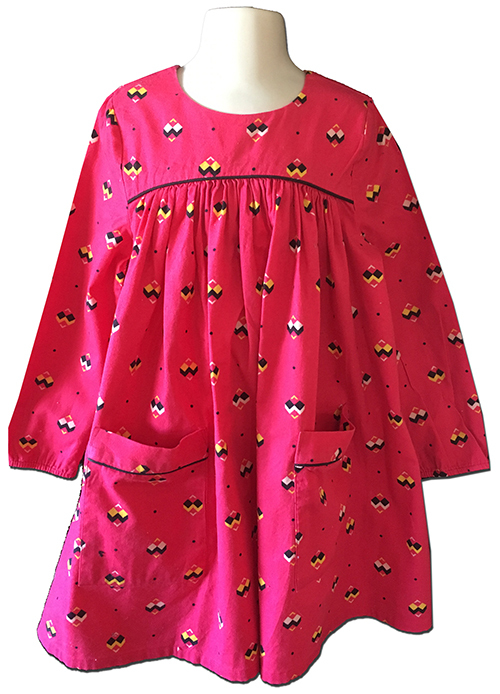 This super-sweet dress from Country Road Child is in a raspberry pink geo-print brushed cotton - soft and snuggly! It features an Empire Line design with long sleeves, front pockets, a fully lined bodice and two buttons at the nape of the neck. Size 5, it's about 78cm around the chest under the arms and 60cm long from shoulder to hem and in flawless, barely used condition - could pass for new without tags. 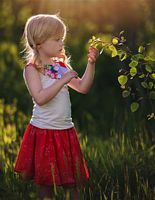 This beautiful Country Road Child pinafore dress is in the prettiest Watermelon Pink velvety uncut cord (98% Cotton, 2% Elastane) with an adjustable inner-button tab waistband and sweet how accents on the shoulder straps. Size 5, it's about 61cm long from shoulder to hem and in excellent, barely used condition. 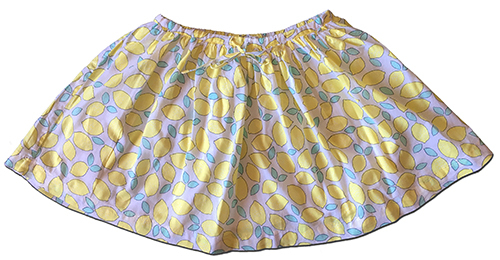 This beautiful skirt from Seed Heritage is in a stunning yellow Daisy embossed 100% Cotton, and features a button-tab adjustable waistband that's elasticised at the back as well as a concealed side zip. Size 5, it's about 24cm long from waistband to hem and in excellent, gently used condition. This fun skirt from Seed Heritage features a white broderie anglais (100% Cotton) base overlaid with a fluoro orange net overskirt, with a shimmering elasticised waistband. Size 5, it's about 28cm long from waistband to hem (slightly shorter on the underskirt) and in excellent, gently used condition. 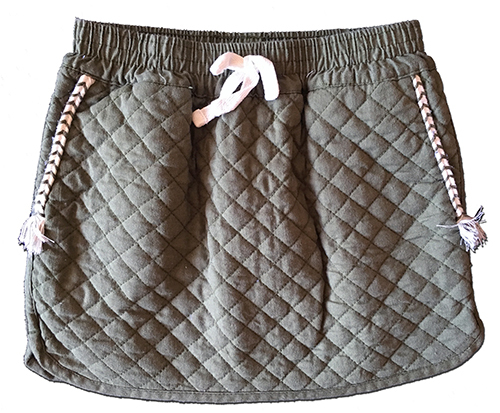 This lovely skirt from Seed Heritage will go with so much, in a khaki quilted 55% cotton 45% viscose blend with an elasticised waistband and side pockets with decorative trims. Size 5, it's about 26cm long from waistband to hem and in excellent, gently used condition. 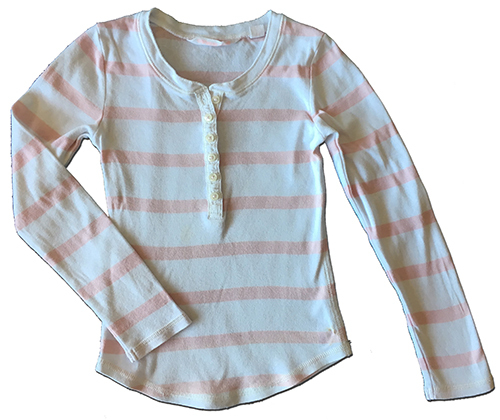 As a bonus I am also including a handy long sleeved Henley top from Country Road, in a pink striped 100% cotton jersey. 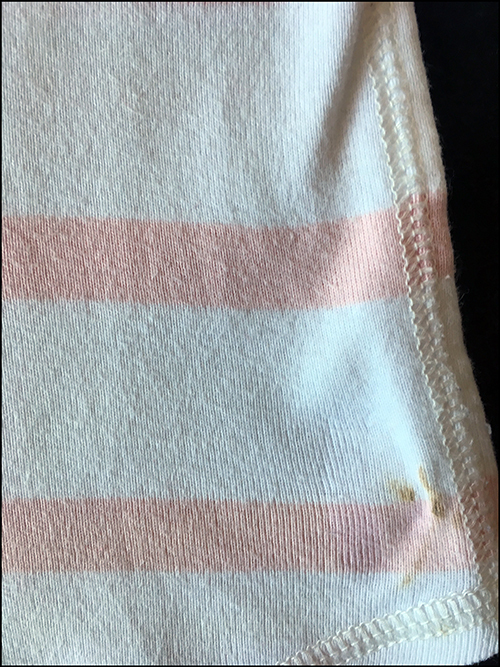 Also a Size 5, it's about 56cm around the chest under the arms unstretched and 42cm long from shoulder to hem, and is probably best used as at-home/playwear as it's displaying some wear and has a small mark on the bottom left hip as shown. Tonnes of useful life left in this yet though! This is a really cute three piece set with which to mix and match from Country Road, all in a Size 5. 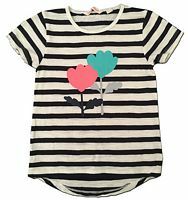 The top is in a navy cotton jersey with a pretty applique and print Apple chest motif. It measures about about 62cm around the chest under the arms unstretched and 40cm long from shoulder to hem and is in excellent used condition. 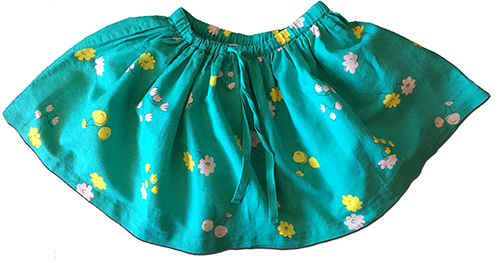 The first skirt is in a green linen-look 100% Modal, again with an apple print and featuring an elasticised waistband with functional drawstring ties. This is about 28cm long waistband to hem and is also in excellent, barely used condition. The second skirt is in a navy 100% Viscose with a pretty floral print and an elasticised waistband. This is about 30cm long waistband to hem and is in very good used condition with only mild, even wash fade and just a few tiny fabric pulls here and there. This is a fun and comfy little matching top and leggings set from Country Road. 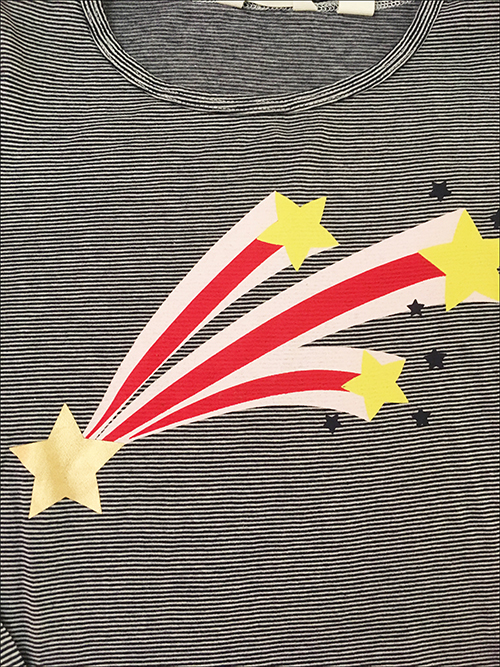 The top is in a striped cotton jersey with a brightly coloured shooting stars chest motif. Size 5, it measures about 62cm around the chest under the arms unstretched and 44cm long from shoulder to hem. This is in excellent, barely used condition with no cracking to the print - the CR label has been snipped to prevent retail returns and it also looks like the red in the print has slightly merged into what used to be white stripes either side. 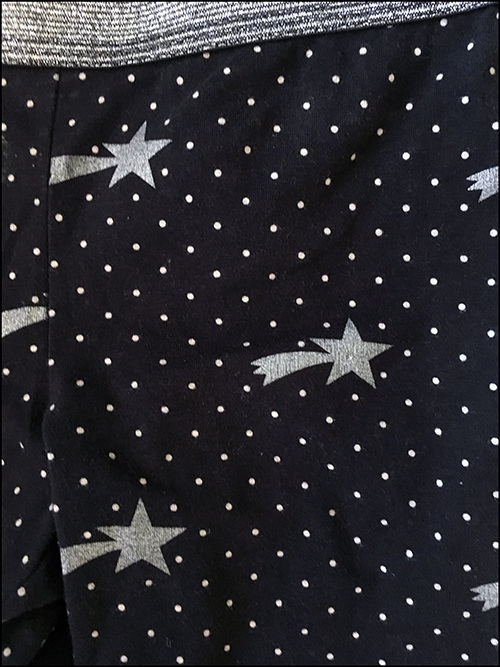 The leggings are in a navy 97% Cotton 3% Elastane blend and also feature a shooting stars print in metallic silver-grey to tie in with the glittery elasticised waistband. Also a Size 5, they're about 62cm long waistband to hem and 49cm on the leg inseam. These are in good sturdy condition however are displaying a little cracking and wear to the print throughout. Tonnes of life left in these yet! This is a sweet little windcheater from Country Road in a charcoal heavyweight cotton with a pretty metallic gold accented bird print on the chest. 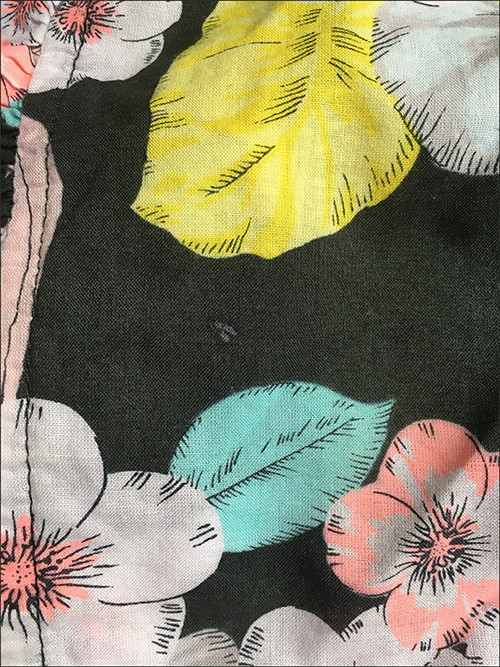 Size 5, it measures about 68cm around the chest under the arms and 45cm long shoulder to hem, and in good used condition with no cracking to the print and just some mild wash fade throughout - hard to avoid in dark colours.